Just added. 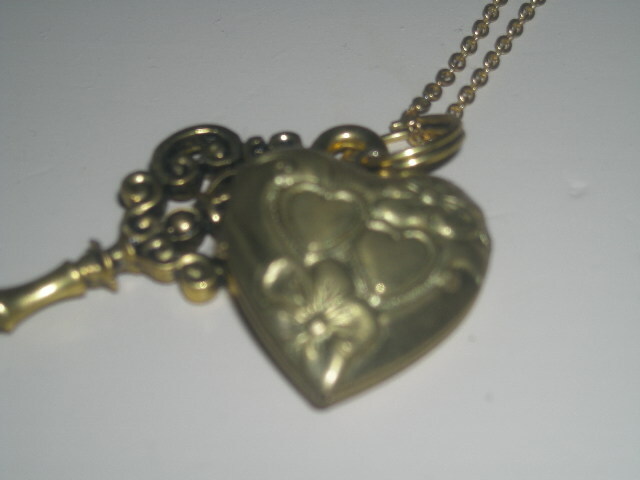 A vintage heart locket with a gold key all on a delicate vintage gold chain. This gift comes with a vintage pedestal jewelry holder handpainted with roses and daisies. Perfect for your Valentine. Most of our items have free shipping. Liz Taylor was so beautiful and talented. For anyone who loves vintage or memorabilia Christie’s is having an online auction.